When you need a truck that anticipates your needs, delivers power with efficiency and prepares you for everything that lies ahead, you are going to want to take a look at the 2018 Ford F-250 Super Duty. Featuring an available four-door exterior with seating for up to five individuals, this home away from home provides you with everything a truck should and more. Available trim levels include the XL, XLT, Lariat, King Ranch, Platinum, and Limited. 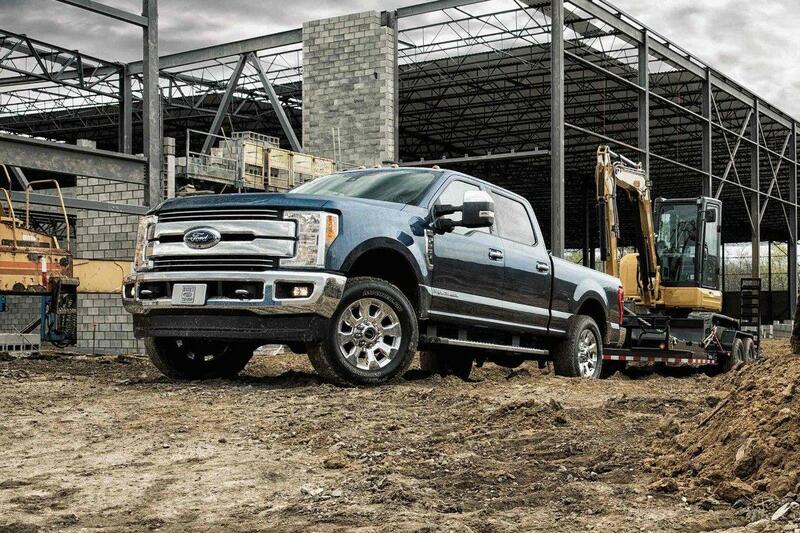 When you drive the 2018 Ford F-250 Super Duty, you are given an environment of productivity and capability. 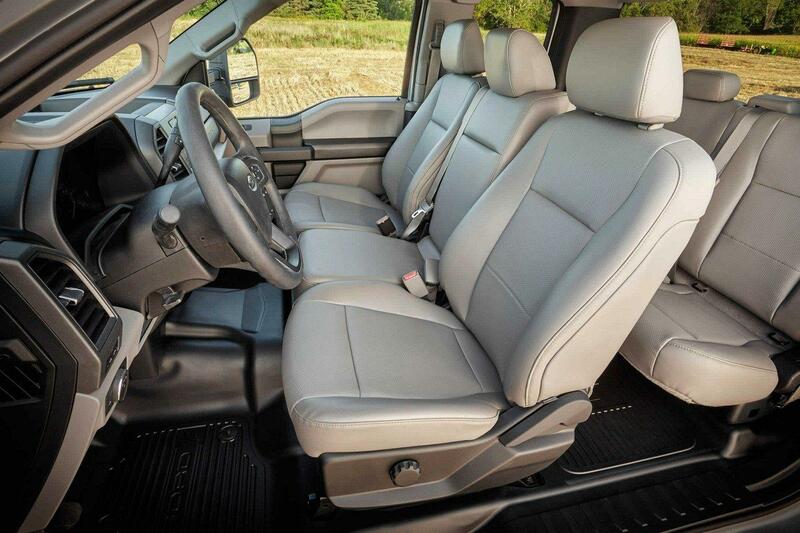 Relax on the available heated and cooled front seats as your surroundings accommodate for the weather with ease. Find a spot for everything and everyone as you utilize the 60/40 fold-up bench seats with optional heating, keeping your rear passengers happy during cold Canadian winters. Grip the optional leather-wrapped and heating steering wheel for a luxurious touch as the available dual-zone electronic automatic temperature control provides you with the ability to set and maintain two different front temperatures at the same time. You are given an exterior that works on your behalf with the 2018 Ford F-250 Super Duty. Expanding your visibility when towing are the available PowerScope Trailer Tow Power Heated glass mirrors, making sure that you never carry more than you can handle. Elevate aesthetics and protection through the optional black painted or chrome steel bumpers while the available 6” illuminated running boards provide expanded functionality and easy access to the cabin. Easily find what you are looking for or set up a workstation after dark with the modern capability of the available LED box lighting system. Bring enhanced communication to the road with the 2018 Ford F-250 Super Duty as you engage with the available SYNC 3 system and its innovative Apple CarPLay or Android Auto system. This feature delivers voice-activated functionality as well as an 8-inch LCD capacitive touchscreen so that you can make calls, send messages and utilize the available optional navigation system without the use of your hands. Entertainment is provided through the available SiriusXM satellite radio as you enjoy over 120 commercial-free channels. Promote your personal preferences with your 2018 Ford F-250 Super Duty as you select from a variety of Genuine Ford Accessories. Elevate interior protection through your pick of seat savers by Covercraft or bring exterior aesthetics and style to the next level through fender trim or splash guards. 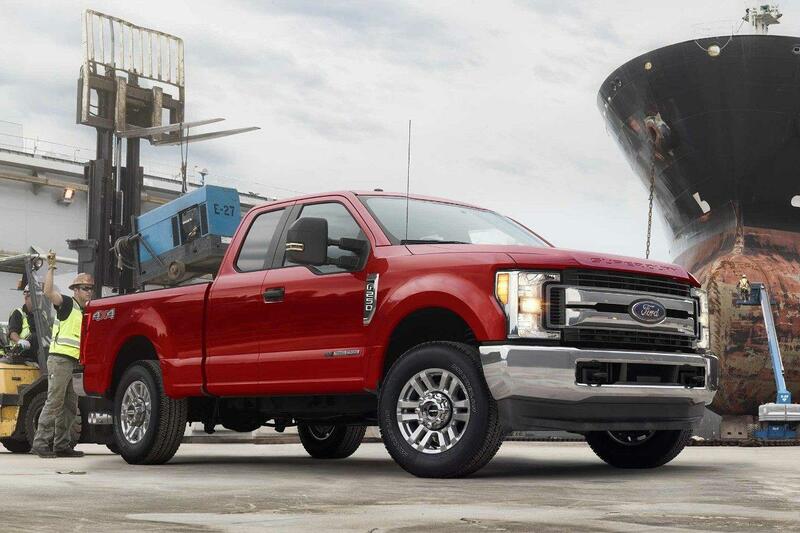 Enjoy an increase in durability where you need it with the 2018 Ford F-250 Super Duty. You are given a choice between a 6.2L V8 engine or a 6.7L Power Stroke V8 Turbo Diesel engine for enhanced power and control. Responsiveness is elevated through the 6-speed SelectShift automatic transmission as you engage with agile handling in a range of conditions. Impressive capability and refined luxury come forward with the 2018 Ford F-250 Super Duty. Take on more as you engage with a powerful display of ergonomics and innovations. Explore the 2018 Ford F-250 Super Duty at your local Vernon Ford Dealer – Watkin Motors Ford. Through a wide variety of new and used inventory, Watkin Motors Ford is the perfect place to find your next truck.